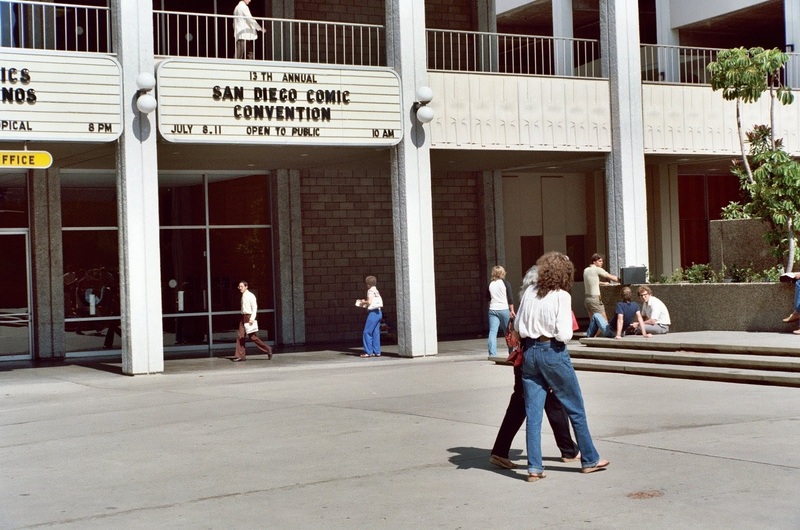 For those of you too young to know, there once was a time when you could decide on a whim to attend Comic-Con, drive down at the last minute, walk up to a registration booth, and purchase an attendee badge for the day or the entire show! I did this several times those first few years. This included booking hotels at the last minute as well—boy, those were the days! And no doubt like many attendees today, to save some bucks on the then-$79 per night hotel fee, my friends and I would double up (or more) in a room. The first time I attended, in 1986, was with a college buddy who I introduced to comics and would later work in the industry himself. We stayed with his older brother who happened to be living in San Diego at the time. (His brother was also taking flying lessons and during our visit, he took us up in a small Piper Cherokee, an experience which is very different than flying a commercial airliner!) 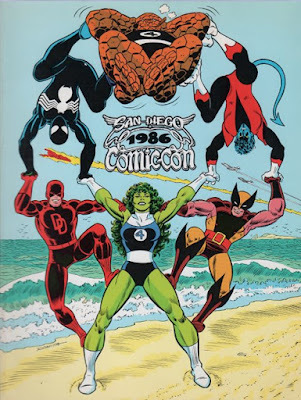 In the years that followed, I attended Comic-Con with a rotating entourage of friends—nearly all college buddies—who mostly shared the same interest in comics. Also usually joining us was my brother, who's been incredibly supportive of my comics work over the years. 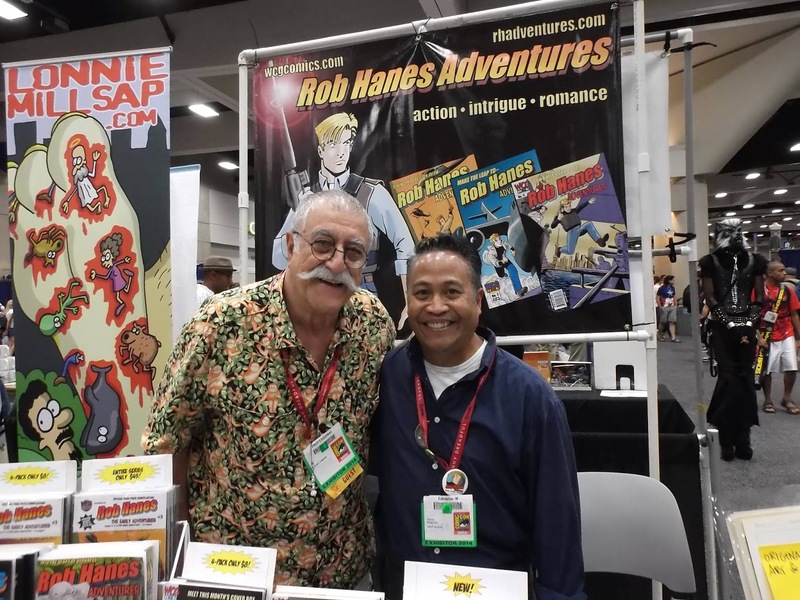 Though I had been reading and producing my own “home-made” comics since my tweens in the early 1970s in New York where I was born and raised, I wasn’t aware of “comics fandom” until I moved to Northern California and discovered my first comic-book shop. These pioneering comic-book stores had a grungy/garage sale feel, often run by aging hippies in dilapidated, stripped down store fronts—and I don’t mean this in a bad way! You usually could hang out all day reading comics (then leaving with some purchases). 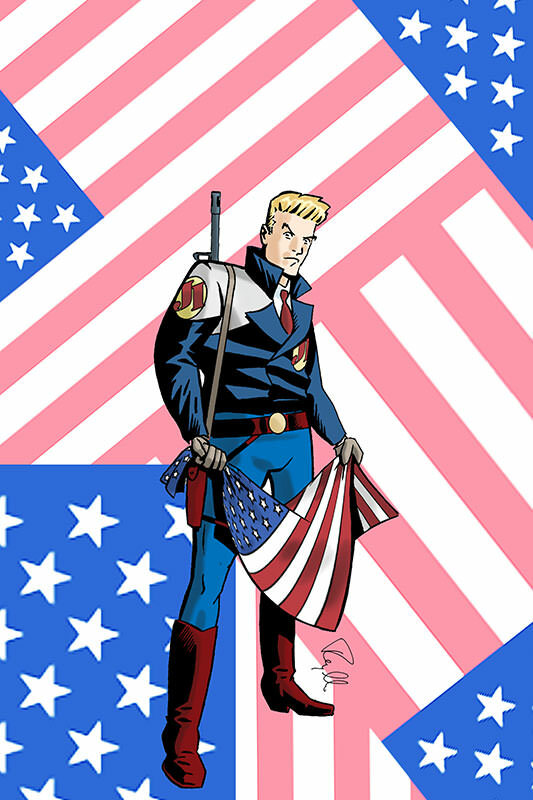 By the time I hit college in the early ‘80s, comics—always a boom-and-bust industry—were on an upswing with independent comics like American Flagg (1983) and Love and Rockets (1982), which themselves had been preceded by early breakout hits like Cerebus the Aardvark (1977) and Elfquest (1978), to be soon followed by landmark mainstream series like Crisis on Infinite Earths (1985-86), Frank Miller’s Dark Knight Returns (1986), and The Watchmen (1986-87), all energizing the era’s comics scene. I know people whose attendance date back to the very first year of the show in 1970. Before I attended, Comic-Con had been held at a variety of locations in San Diego, notably the El Cortez Hotel. By the time I began attending, the show had moved to the San Diego Concourse and Performing Arts Center, a rather drab facility that felt dated even then. But I wasn’t there for the ambiance! As an aspiring cartoonist, Comic-Con was an eye-opening experience. It gave me the opportunity to see and meet my first comics pros in person. In these first few years, this included Frank Miller, Howard Chaykin, Jerry Bingham, Gary Groth, the Hernandez Brothers, and Steve Rude. 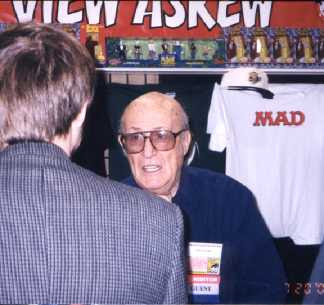 I often like to say that I started attending Comic-Con at a time when the biggest celebrities were the actors who portrayed Lois Lane on the Superman television show (Noel Neill) and Lone Ranger (Clayton Moore). With that said, Hollywood did occasionally show up at Comic-Con to connect with fans. At my first Comic-Con, I attended a panel for the television pilot based on Will Eisner’s Spirit that starred Flash Gordon’s Sam Jones. It never got picked up, but I saw the pilot when it aired and, years later, purchased a bootleg DVD of the show at Comic-Con. Most famously, but before my time, one of the first movie promotion success stories at the event was Star Wars, which created a buzz in the fan community long before it was discovered by the mainstream. Of course, today, many film studios consider Comic-Con an important part of their promotional effort, sometimes even pausing productions so that their directors and casts can make an appearance. Years later, the Flash television show and the first Tim Burton Batman film would be heavily promoted at Comic-Con. For many, Batman was a major turning point since, along with 1978’s Superman starring Christopher Reeve, the film arguably heralded the start of comic-book-based films that fans felt were faithful to the source material and not disdainful of it. On one occasion, after driving down to Comic-Con from L.A. just for the day, still flush with the excitement of the show, I drove back the very next day with a few additional friends in tow! Another time, in 1989, the night before driving down, I went to a Hollywood Bowl concert with my new girlfriend (now my wife), got home at 3 a.m., and somehow found the energy to drive down to Comic-Con that very morning. I then drove back to L.A. that same night since I had made plans with my girlfriend to visit the Getty Center in L.A. the following day! (Ah, love and youth!) And in yet another year, I threw a surprise birthday party for my girlfriend and then drove down to Comic-Con the very next morning! And what comics convention experience is complete without a story of tracking down a long-sought after comic-book issue? In my case, it was finding issue 4 of The Rook, containing the second and final chapter of a backup story by famed comic-book legend Alex Toth, featuring his original series, Bravo for Adventure! This is the reason comic-book conventions were invented! Of course, the advent of online shopping and the fact that so many comics have been collected and reissued has somewhat reduced this pastime, for me at least. Those early days also gave one the luxury to methodically walk each aisle of the show aisle to check out the different booths, deciding where I might come back to make a purchase. As the show got larger, however, this became impossible as the surging crowds tended to determine which aisles to navigate and which to avoid. But in subsequent years, Comic-Con began to change and grow, starting in 1991—the year the San Diego Comic-Con moved to its present home at the San Diego Convention Center.